Production Scope: 12-20 Hours per week, when in production. Projects last 8 months to 1 year. I started Stage Left Studios with a group of former theatre friends as a hobby project. We create high quality machinima projects with large teams, with an emphasis on playing to our theatrical origins. My original goal was to bridge the gap between my previous theatrical management experience and my goal of becoming a video game producer. After two feature length projects, the team and I view it as a hobby that we use to stay in touch and keep our creative energy alive. Weekly Studio Schedule: Each week, I assembled a call sheet of work that we were going to try and accomplish, when we were going to accomplish it, and who was involved with the task. I also uploaded this schedule onto the custom JIRA and Confluence instance that I created with Atlassian Cloud. Project Retrospective: At the end of our most recent project, I led the team in a brief project postmortem where we could discuss and document all the things that we did well, and remember the things that we agreed we needed to fix when we came together for another project. Stage Left Studios YouTube Page: We post all of our videos to our YouTube page. On the page you'll be able to find all episodes of our two published projects: Hamlet and Hoboken's Heroes: A Minecraft Adventure. Work with the Artistic Director to set project priorities and scope within considerations of staff skills and availability. Work with Artistic Director to set studio creative direction, image, and artistic goals. Oversee production cycle of specific projects, managing schedule, staffing, and delegation of responsibilities. Served as Cinematographer on Hamlet and Director of Photography on Hoboken, working to capture footage and direct animators' movements within scenes. Served as Sound Designer on Hamlet and Hoboken, creating soundscapes and overseeing the production of voiceover recording and custom music content. 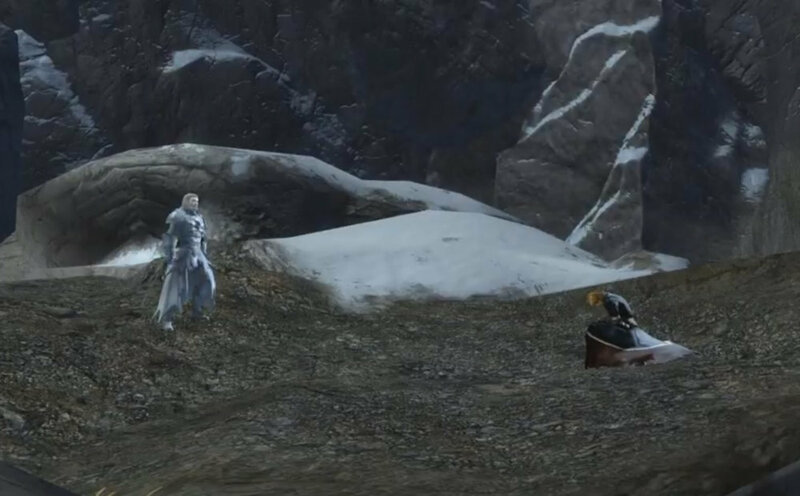 The full, uncut text of Shakespeare's Hamlet within ArenaNet's Guild Wars 2. We chose Hamlet because of how important it is as a work of theatre, and because we all were large fans of Shakespeare. We all needed to read Hamlet in school--multiple times in fact--and we were very excited at the idea that machinima could be a wonderful way to make the text more accessible to high school and college students. After all, many theatre people will tell you that Shakespeare is much better spoken aloud than read! If I'm being honest, there was also a bit of pride on our parts that we wanted to tackle the longest Shakespeare play right out of the gate. 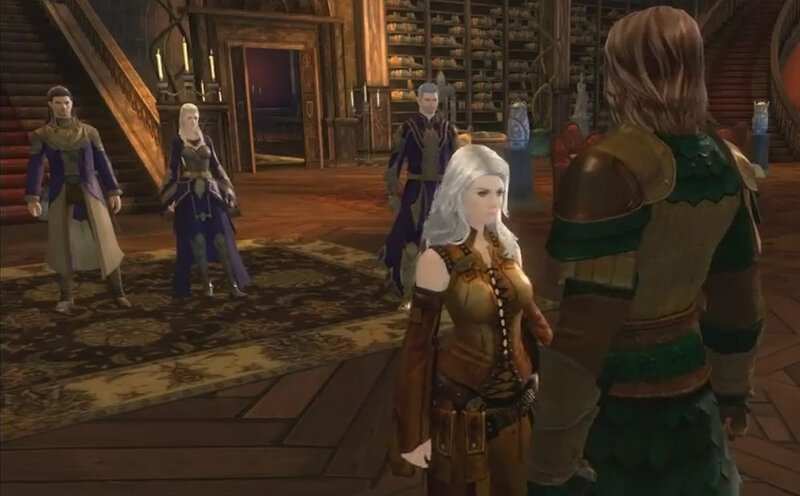 We thought that Guild Wars 2 would be an excellent place to film it because 1) we all loved the game and 2) we thought the general aesthetic would work well with the way that we wanted to tell the story. I worked with Daniel Prillaman, our creative director, to scout locations within the game. We settled on using Lornar's Pass, an area in the Shiverpeaks, as all of the exterior shots of frigid Denmark; along with a few scenes set in a private PvP arena (Temple of the Silent Storm). For interiors we used the Caudecus' Manor dungeon. Throughout the process, I managed all staff scheduling, voice recording with our cast, and cinematography. I also performed Laertes, and choreographed the large fight scene at the end of the play. An original series about a boy finding his place in the world when everyone expects him to be a miner. We wanted to try telling our own story, and we figured that in order to get the flexibility that we needed, Minecraft would be a great place to work. Hoboken started as a 30 minute short film, but our team fell in love with the humor and the freedom of working in Minecraft, so we expanded the story into a larger work. 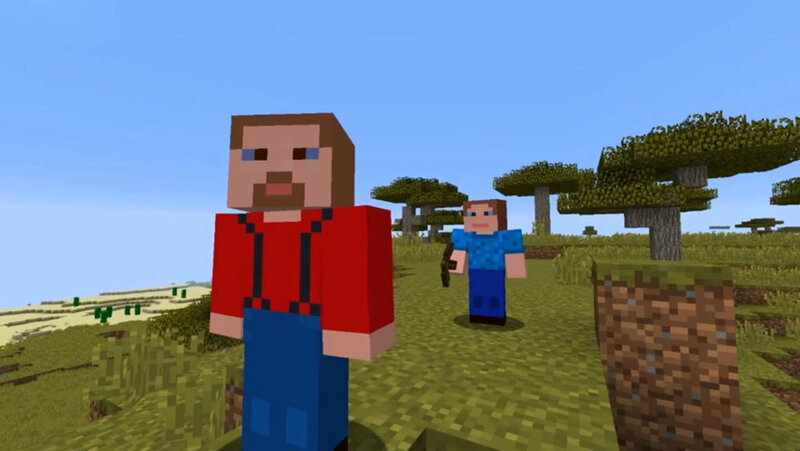 In creating the story, we sought to leverage Minecraft's unique style and build our own lore atop the vanilla blocky world. The series follows Sebastian Cooper and his quest to rescue his family and friends after they're kidnapped by Team Obsidian as part of a grand evil plan. Never ones to be satisfied with only one large project, we are currently in story discussions for the second season: Hoboken's Heroes: Obsidian Rising. Daniel Prillaman, our Creative Director, wrote the story and the two of us shared a Director credit on the project. In addition to my normal scheduling, cinematography, I also performed the role of Sebastian. As part of publicity efforts around Hoboken's release, I also planned and executed a convention appearance for Stage Left Studios at the Rooster Teeth Expo 2015.